Delores "Dee" Lalley passed peacefully on Monday, October 27, 2008 at Avera Mckennan Hospital; surrounded by her husband, children, and grand children Dee was born March 19th, 1927, to Oswald and Sylvia May in Saint Paul, MN. Her surviving siblings include Luella (Don) Grinfelder of Laguna Niquel, CA; Ellen Gardiner of Lakewood, CA; and Mary May of Mizzoula, MT. Dee grew up in Sioux Falls, SD and graduated from Washington High School. Dee wed Rae T. Lalley on August 29th, 1949 and enjoyed 59 years of blissful marriage. Together they raised 5 children: Becky (Jerry) Berke of Sioux Falls, SD; Tim Lalley of Sioux Falls, SD; Cheri (Dale) Baumgart of Sioux Falls, SD; Joe Lalley of Omaha, NE; and Mike (April) Lalley of Sioux Falls, SD. Their children raised 15 grand children and 11 great grand children. Dee was preceded in death by her parents Oswald Sr and Sylvia May; her brothers Oswald Jr, Bobby and Clarey May; and her grandson Lee Baumgart. In her younger days, Dee was a phenomenal athlete. She was state champion both as a diver and as a swimmer in the breast stroke. Dee loved the outdoors and was an avid golfer and water skier. She also spent many years in ladies bowling leagues at the Recreational Lanes in downtown Sioux Falls. 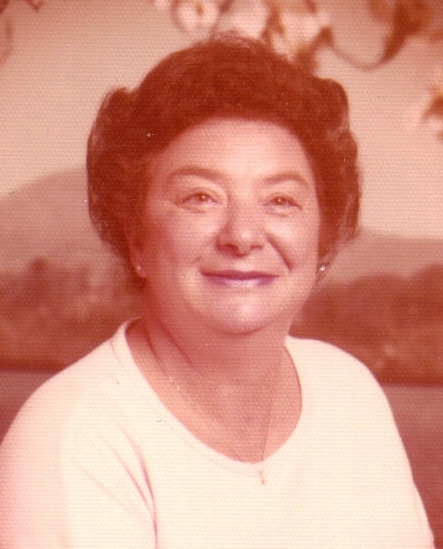 Throughout her life, Dee was a loving homemaker, wife, and mother. She spent her younger years working in the IBM office at John Morrell's. After her children were grown she worked in both the treasurer office and the auditor office for Minnehaha County. In her later years, Dee loved to play Mah Jong with her friends in different towns all over south eastern South Dakota. She loved spending mornings swimming at the YMCA. Dee and Rae were longtime participants in a group with close friends that met every Friday night for supper. Over the years, Dee spent thousands of hours watching the school and sport activities of her many grand children and great grand children. Dee was very active at Saint Joseph's Cathedral church. She sang and danced in many Cathedral Capers, and was a long time member of the Cathedral Club. She was proud to have spent time as a church treasurer. Visitation will be Thursday, 2:00 PM at Barnett-Lewis Funeral Home with a Scripture Vigil at 7 PM. Mass of Christian Burial will be Friday, 10:00 AM at St. Joseph Cathedral with burial to follow at St. Michael Cemetery. An on-line registry is available at barnett-lewisfuneralhome.com. The Lalleys thank you for your thoughts and prayers in their time of loss. Memorials may be designated to the Diabetes Association. The Lalleys would like to extend a special thanks to Jodee Lalley, Jennifer Doese, Katie Day and Bernice Lyle.